This season represents a new rhythm in most places. Students are headed back to school! School schedules, teacher orientations, Back to School shopping, new hairstyles, new family rhythms, shaking the summer slumber and an entire new list of activity is taking place. Students, parents, teachers, schools are all getting back into the swing of things. 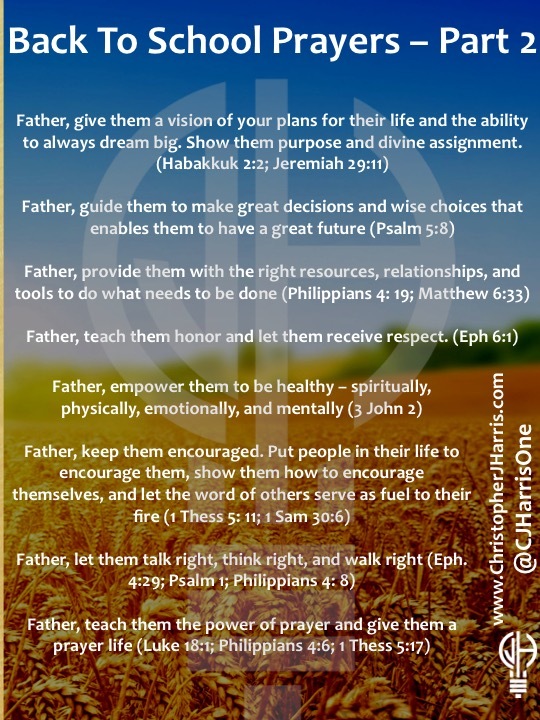 I wanted to take a few moments and invite you to join me in praying for our students. 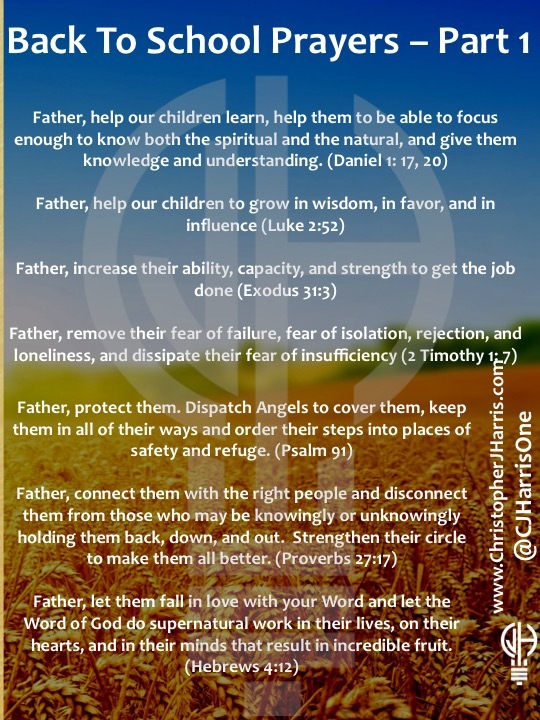 I’ll also be praying for our Teachers and Staff this month. 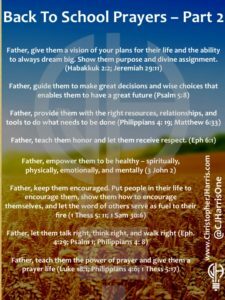 Today’s post is a focus on our children and youth. 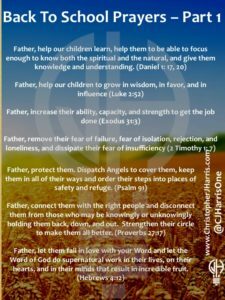 Feel free to take these prayers, print them, share them, and offer them to others as we collectively stand together and cover our children in prayer! Feel free to share these and pass along!